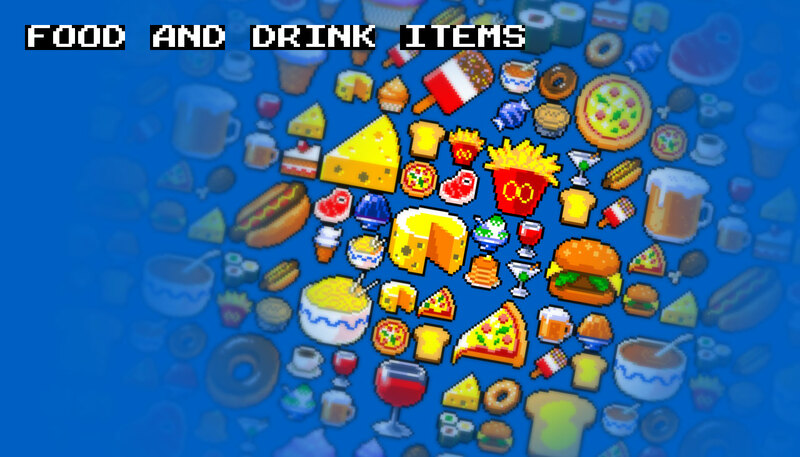 100 unique pixel art items, perfect for arcade, platformer, puzzle and match 3 games. Royalty free commercial and personal license. 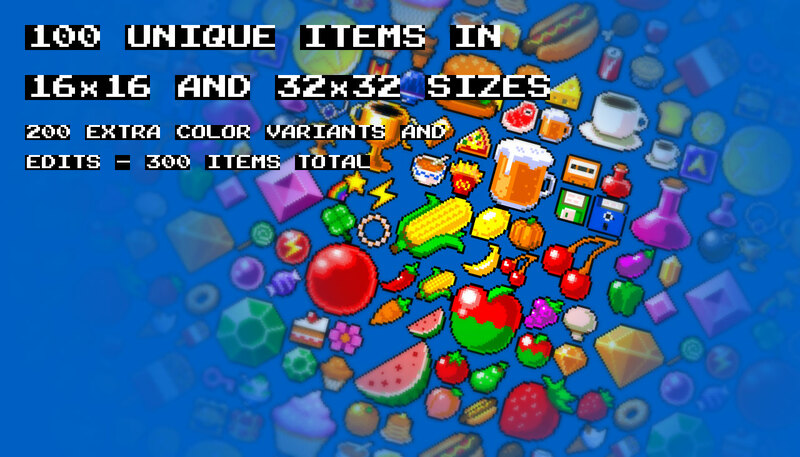 Every item has both 16 x 16 and 32 x 32 versions drawn from scratch for pixel perfection - not re-scaled or filtered. Many items have color variations and other small edits for a total of 300 items in total. 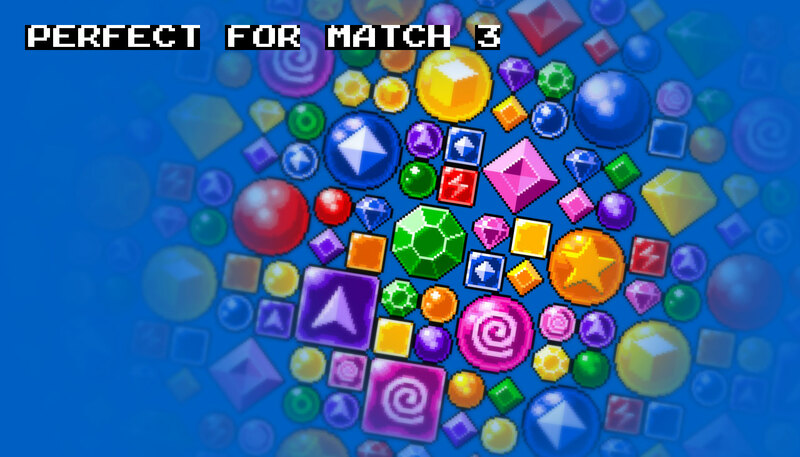 Also included in both 16 x 16 and 32 x 32 sizes are frames for the following animations and effects: item spawn, item disappear, item sparkle, item pop, animated treasure chest, animated coin, animated bubbles (Animated GIFs to demonstrate the animations are provided). All items provided in three different outline colors: black, grey and brown. 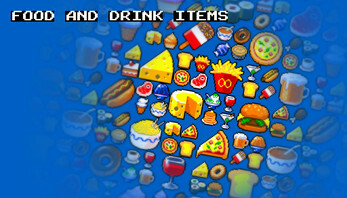 Please leave a comment if you find these items useful and feedback about items you would like to see added. 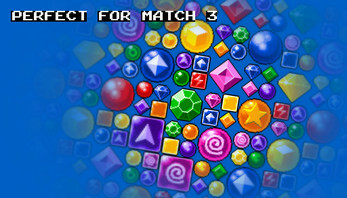 Multi-colored bubbles and blocks with icon variations. 2 magic potion items with 7 color variations. Other items include flowers, keys, books, medals, bomb, spy glass, crystal ball, feather and more.